There’s a short developmental window in every dog’s life when he’s extremely sensitive to his environment. 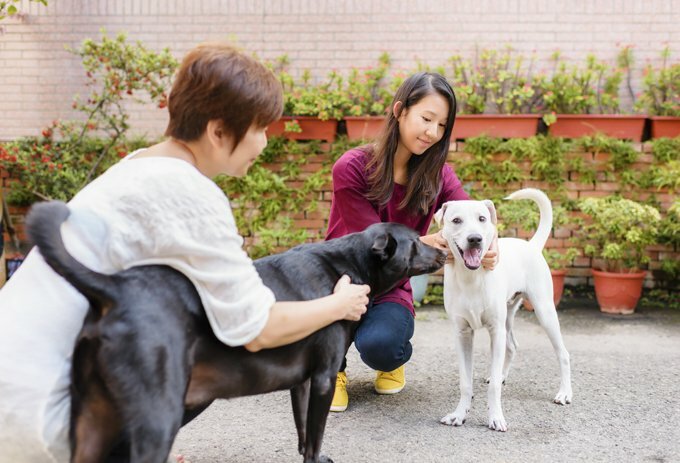 The number of positive encounters he has with other people and dogs during this period, which ranges from just a few weeks old to three or four months of age, can dramatically influence how friendly he is as an adult. So if you’re getting a puppy, look for one who’s been raised around people. 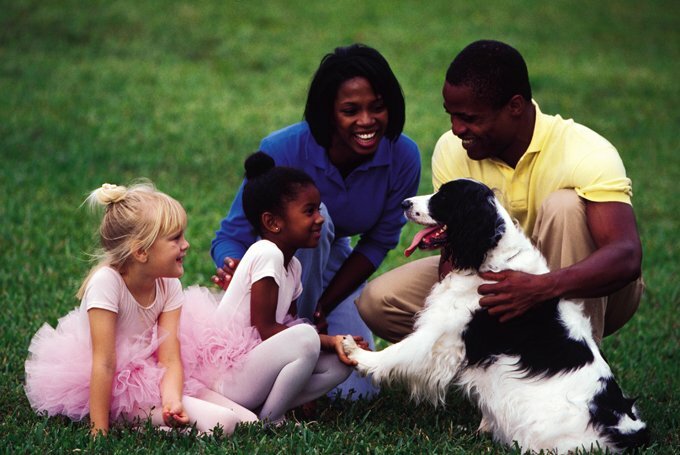 Once you get your pup or dog, regardless the age, introduce him to lots of different people. Note: Owners of young pups are in a bit of a catch-22. During that developmental window when you should be introducing your puppy to all sorts of people, he’s too young to walk around in public places, since he’s still vulnerable to catching dog diseases. The solution: bring the people to him, and throw lots of puppy parties. Mix up the guest list often. Inviting over the same group of friends week after week won’t do it; if your puppy’s going to learn how to behave around strangers, he needs to meet unfamiliar people. So use this as an excuse to give your social life a boost: invite friends, relatives, neighbors, and coworkers. Make it a learning experience for your pup by having guests–including the kids–hand-feed him, practice some basic commands, and give him lots of pets and cuddles to get him used to being handled (future vets and groomers will thank you). If your guests reward him with a treat or piece of kibble after each exercise, your pup will probably conclude that humans are a pretty nice bunch. The ideal scenario would be to throw a puppy party every day from the day you bring your pup home until he’s three or four months old, but unless you’re a professional socialite, you may find that a bit daunting. A good goal is three times a week. And even once a week is better than nothing. Take your pup out and about. Even if your pup is too young to be on the ground in public places, you can still take him out in a carrier–to a café, to work, to the park, for a stroll around the neighborhood. Any exposure he gets to people will help, so long as it’s positive. Other dogs do most of the work here. When puppies play-fight, they teach each other not to bear down with their jaws when they bite. If a puppy bites too hard in play, the bitten one will yelp and take time out from the game to lick his wounds. The biter soon learns that if he wants the game to keep going, he needs to mouth gently, not bite. Trainers call this bite inhibition. Reinforce bite inhibition when you’re playing with your puppy. When your young pup mouths you, respond with a yelp or “Ouch!” Then stop playing and ignore your pup for a minute or two. When you’re ready to start playing again, ask your pup to sit to reassert your control, then continue the game. Learn to give time-outs. If your pup ever ignores your yelp of protest and keeps gnawing on you, give him a time out. Stand up, walk out of the room, and leave him alone for a few minutes. You’re teaching him the same thing his puppy playmates do: If he bites, the fun ends. Make sure your children know how to react to biting and mouthing–and watch to make sure they really do end the game when the puppy starts chewing on them. You want to be sure your puppy knows that kids are people too, and he needs to treat them gently.